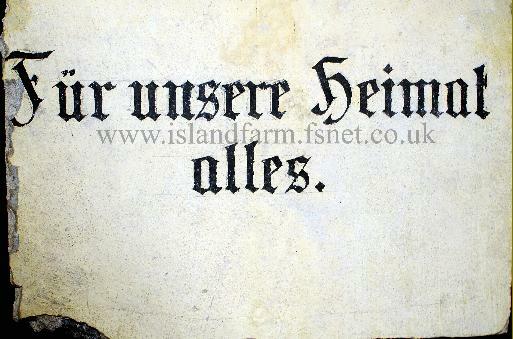 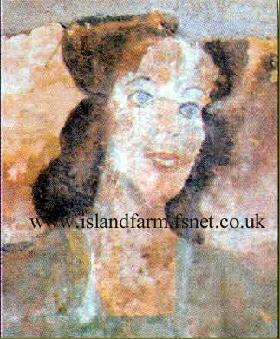 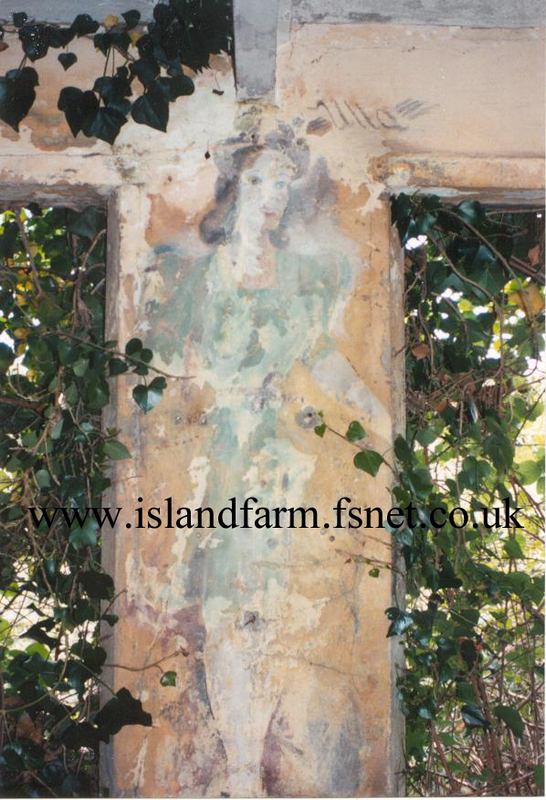 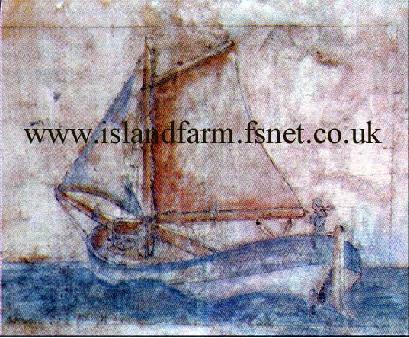 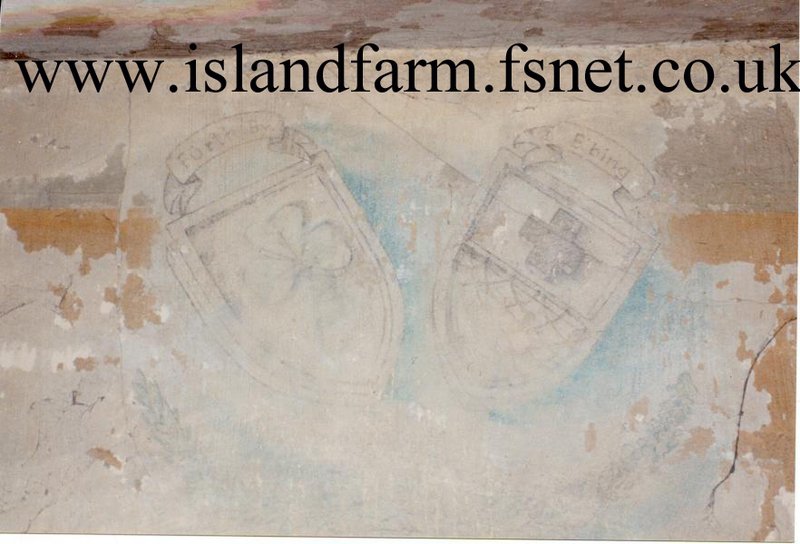 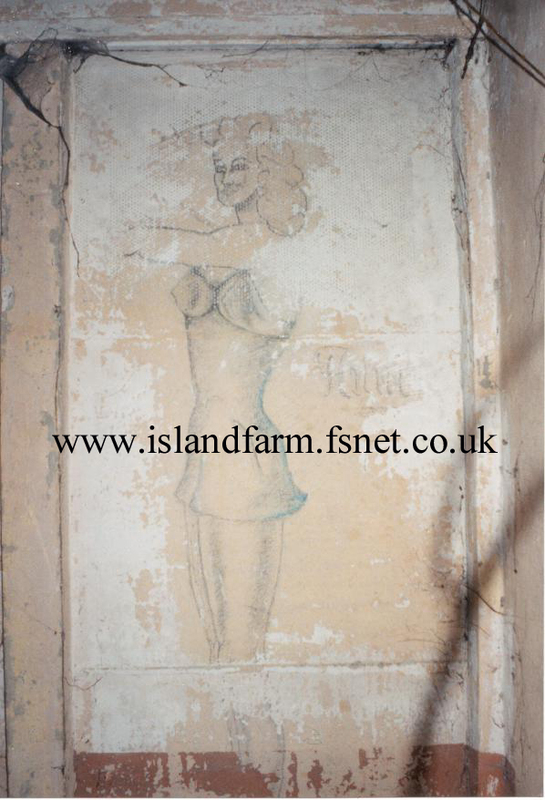 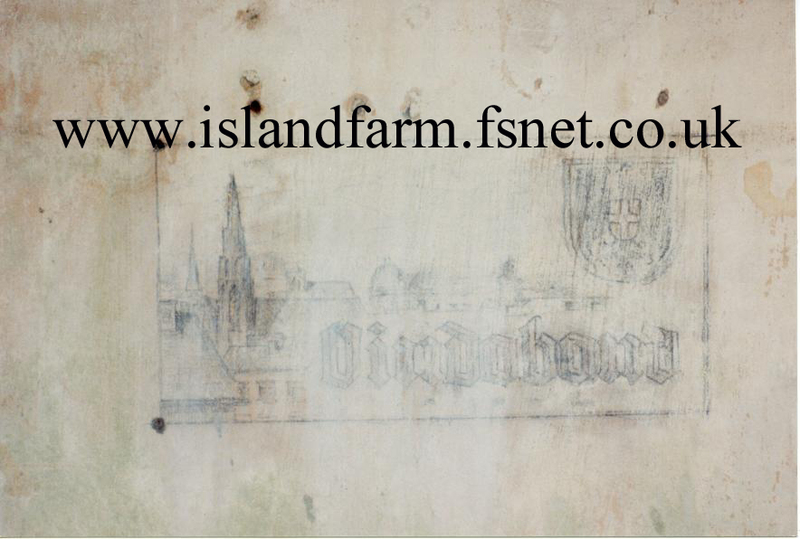 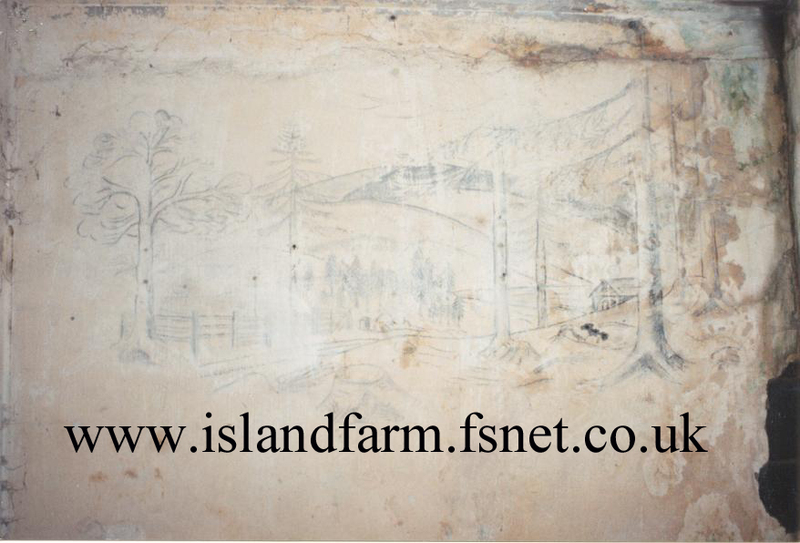 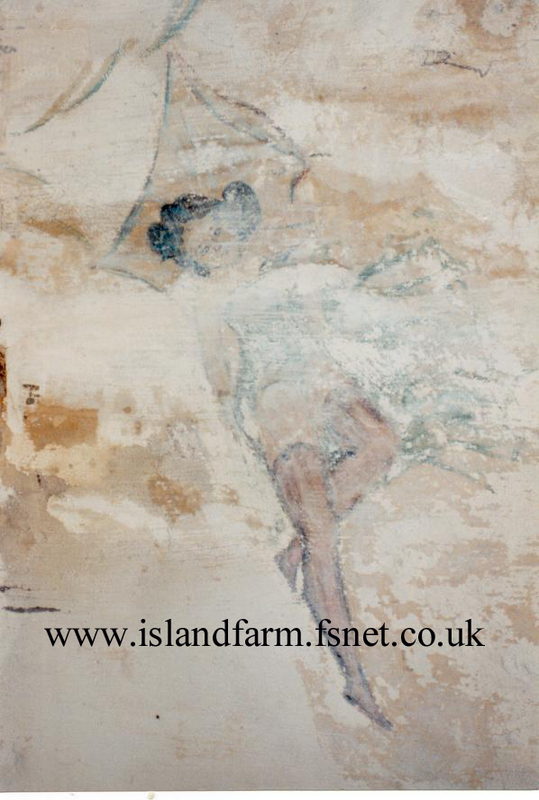 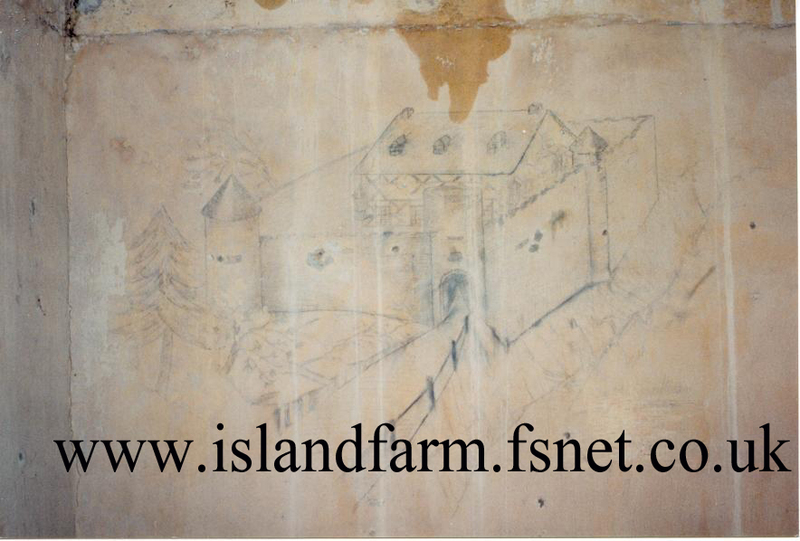 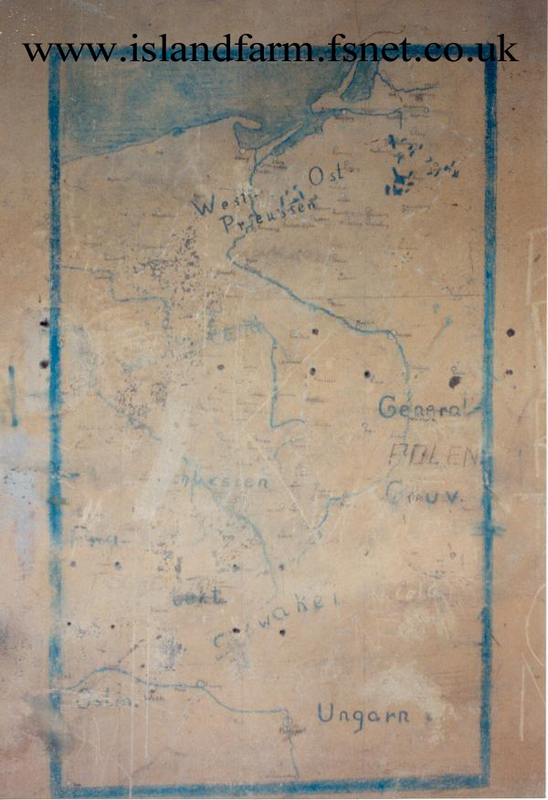 Island Farm was tragically demolished in the early 1990's (except for Hut 9, the escape hut), but thankfully some people had the sense to atleast preserve the artwork, made by some of the POWs, from the hut walls. 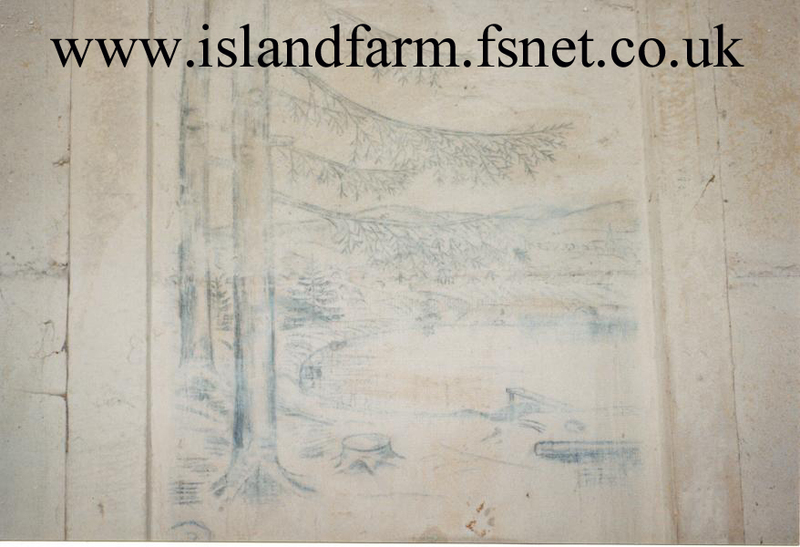 Each picture was photographed, before being professionally removed and secured in a wooden frame. 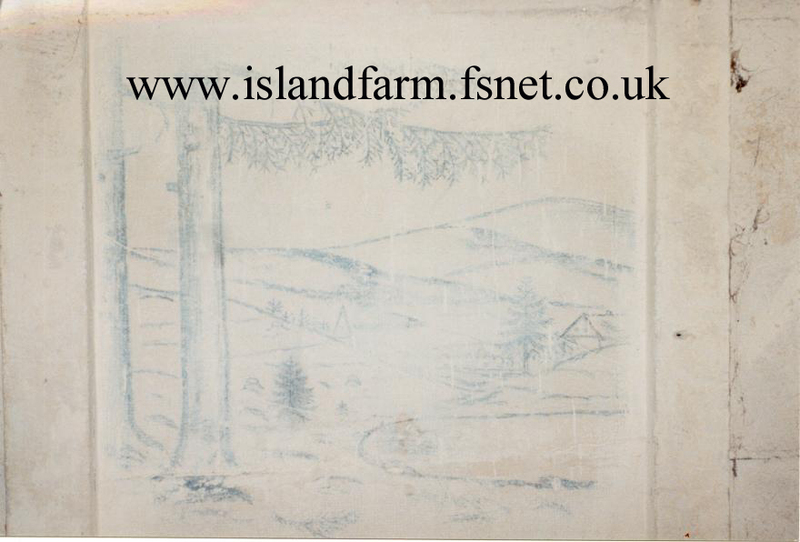 These pictures are currently being stored locally and I hope that one day they will be exhibited. 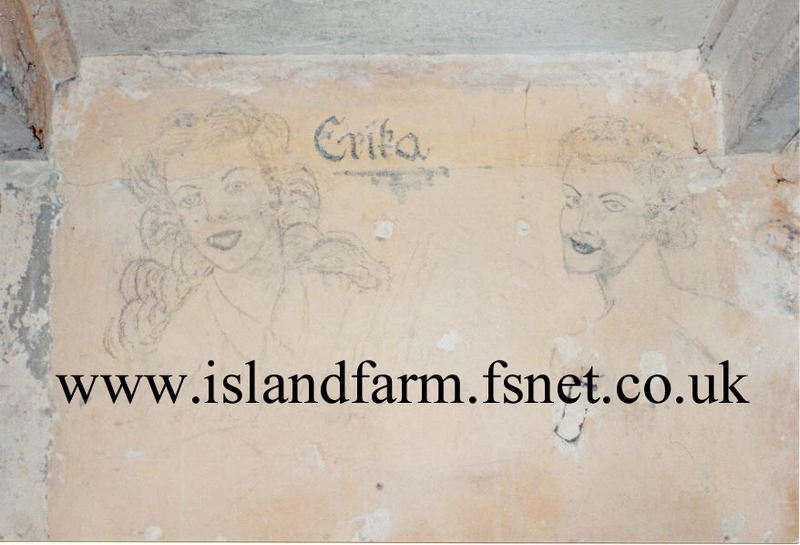 However, below are some of the photos taken of the drawings prior to their removal. 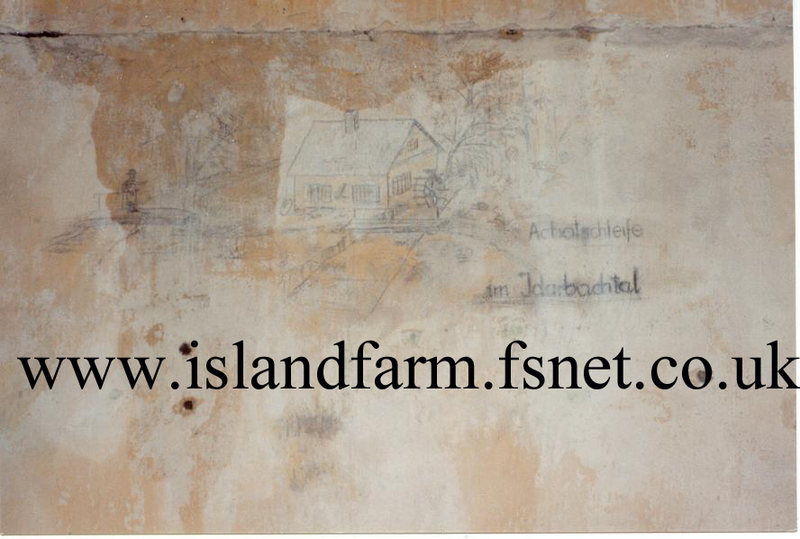 De Buur im Chot erhaltet was riitet und good!